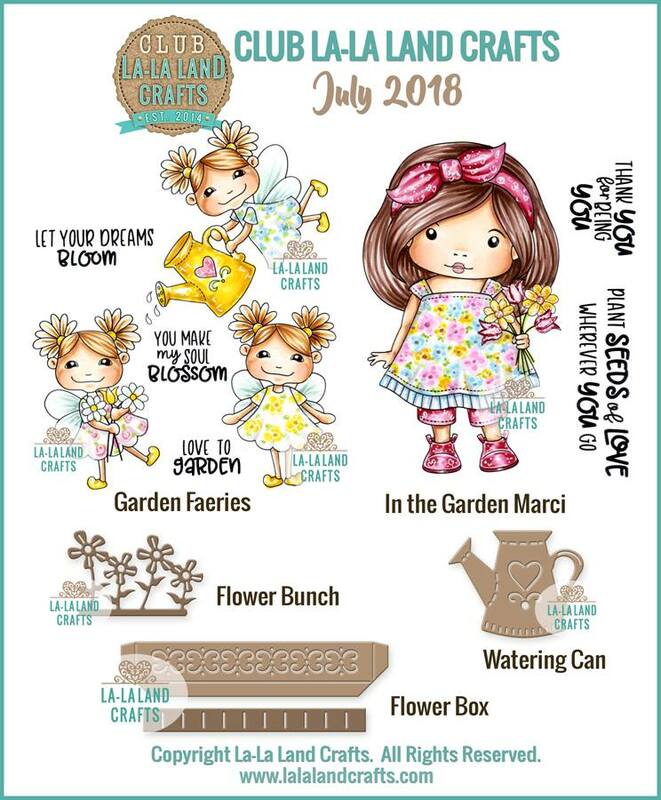 Today I'm sharing with you my cards made with July 2018 la-la land crafts club kit. You can get your monthly club kit too if you subscribe to la-la land club HERE! On my first card I used two fairies. I made a scene card using 2 old la-la land crafts dies from the shop (stitched sun and clouds, double stitched hills). My second card is an easel/shaker card. I haven't done one of these for a very long time. On the front I used In the Garden Marci and then on the bottom part there's one of the fairies. Is there any way that you could email your instructions and pictures in a printable format? I need this one, August 2018, Sept 2018, and March 2018. MY email is mfagerson@hotmail.com. or if you know of another way, I can't figure out how to print these.